Videos are becoming more and more popular on the Internet. Many marketing efforts are now solidly tied to the proper video production. The approach to making a video can make or break a marketing campaign. Staying on top of the new technologies can help you earn the big bucks in the video-oriented world. We asked experts from the digital production company Astudio.ae to explain which video technology trends are worth looking into this year. Virtual reality has become a vital reality. No pun intended. The big industry players such as Samsung and Google are working hard to develop the newest accessible virtual reality technology. The hardware developers are creating tools to make VR readily available for mass consumption. That’s why the developments in the virtual reality tech sector are worth looking into. 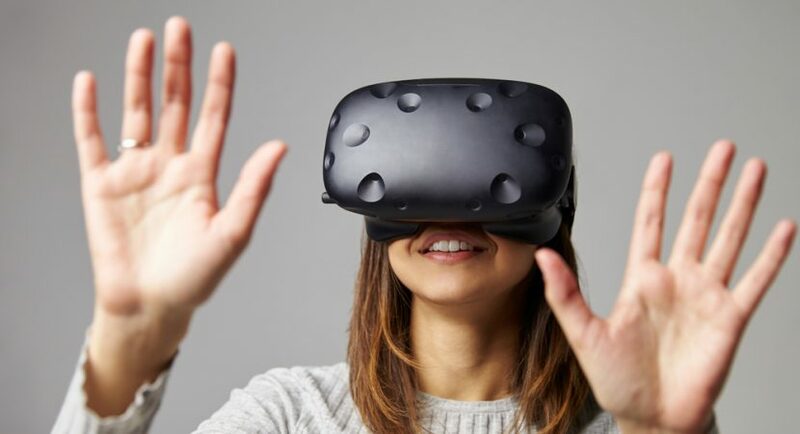 Brands can use VR to communicate with clients in a new and effective manner. Volvo has already been using the technology for its Volvo Reality marketing campaign. New hardware and software, such as high-powered headsets, new types of video games, such as Eagle Flights, and better camera options need to be considered when choosing the tools for the next marketing efforts. Can your smartphone create cinemagraphs? Today, the majority of devices can produce a simple cinemagraph for their owners using special software. A cinemagraph is something between a photograph and a video, which allows telling a story in a completely new way. The best part about a cinemagraph is its small size. These snippets are created using a series of images or an edited video to play in a seamless loop. Again, the new trend is widely used in advertising and marketing. Numerous software is created to help making a cinemagraph as easy as taking a picture. Cinemagraphs are gaining popularity on social media platforms and company websites. They are often used for digital brand promotion. Do you know that a drone is one of the most frequent guests at weddings and other outdoor events? Aerial videography is gaining popularity in the video production world. Using a drone is much cheaper than hiring a helicopter to shoot a video from up high. Many people are turning to drones to achieve their aerial videography goals. One of the major advantages of using drones is their ability to provide hours of footage and a steady picture. Leisure is not the only purpose the drones serve today. Businesses are using the aerial footage for marketing. These aerial videos are popular in real estate and construction industries. Today, many people would like to get a professional video without too much effort. That’s why GoPro cameras are becoming more and more popular among amateurs. The advantages of this camera include numerous resolution and frame rate options. They are portable and come with more or less reasonable price tags. The popularity of video blogs has made these cameras truly trendy. However, no matter how top-notch the equipment is, an amateur is unlikely to make a professional video. Nevertheless, the demand for GoPros doesn’t seem to be waning. Personalized videos have become more and more popular over the years. It seems as if they are here to stay. Many companies are using the power of personalized videos to attract their target audiences. These videos are used to retain the attention of existing customers and help companies identify with their audience. Since more and more people are turning to videos, catching their attention with a personalized message is becoming easier than ever. Personalized videos are used for numerous marketing and promotional needs.